Does your business accept donations online, conduct a web-based business, or even if you just have a traditional store but also allow customers to order online? If you answered yes to any of these questions then your website will need a way to securely accept customer payments. The technological means for doing so is called a payment gateway. You can set up a payment gateway with a merchant services or credit card processing company. Nearly all web-based businesses use a third-party service provider for a payment gateway, rather than try to build them themselves. Because there are so many options for a business owner to choose from, it’s helpful to understand the ways that the payment gateway service providers may differ, in order to be able to choose between them. The first thing to look at is the fee structure for a given service provider. Most will charge a flat or monthly fee, plus a per transaction fee that may be a flat fee plus a percentage, or simply a percentage fee. Unless you’re switching to a new payment gateway service, and you have a history of online transactions with customers, it can be difficult to know exactly what your transaction volume is likely to be. Therefore, it is important to choose a provider that makes it easy to switch to a higher or lower volume fee structure in order to keep your costs as low as possible. Because the actual payment processing will occur on the service provider’s web servers, it will be necessary to integrate the payment processing with your website. In many cases, the easiest solution is to select a provider where you send your customer to their website at the point it becomes necessary for the customer to enter credit card information, and the service provider sends them back to you once the transaction is complete. Keep in mind you’ll also need to make sure that the payment gateway provider can integrate with your website’s shopping cart software. The easier a provider makes it to integrate, the better. 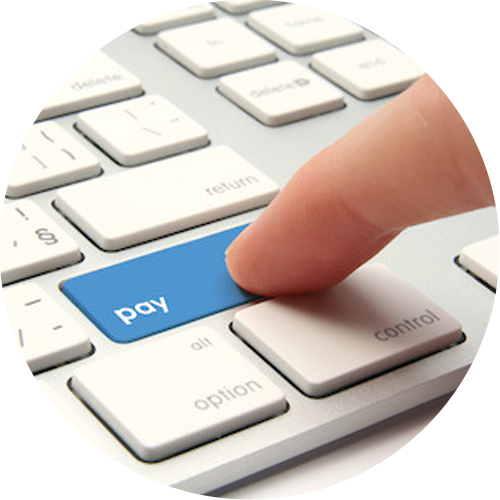 In addition, some payment gateways can integrate into your ERP or accounting software, automating the process and streamlining your workflow. For example, a QuickBooks integration will automatically post payments in Accounts Receivable and General Ledger and mark invoices as paid. Whether you use NetSuite, Microsoft Dynamics AX, Sage 100, or Zoho CRM, search for a payment gateway that seamlessly integrates into your ERP and facilitates the payment process. You may wish to consider whether a payment gateway service allows you to include your logo or other forms of branding on the customer payment page. This might give your customers an additional level of comfort when they are sent to another site to complete a transaction. In addition, you will want to consider the reputation of your payment gateway provider. Users want to be ensured that their personal data is securely being collected and sent across the internet, so you should consider if the payment gateway provides a way to accept payment without having to leave your website. Finally, it is crucial to your business to consider the stated practices of each payment gateway service for remitting payment back to you. Look for providers that have a quick turnaround time, and do a little web research to see if other businesses have experienced any problems with receiving payment, or with charge backs from customers. By taking these various factors into account, you will increase your chances of finding a payment gateway service provider that you’ll be able to work with for a long time into the future.